Ruby, Kristen and Aliz hanging out with the Customer Squad! What have you learnt so far from our Crimefighter community? Kristen: Working here at Auror has opened my eyes to the amount of crime that happens within New Zealand. Luckily we have a great team of Crimefighters who work hard everyday to make our community safer. Ruby: I have learnt how many passionate people there are in the community that make such a powerful contribution to fighting crime. They seem like your everyday human, but underneath it, they are crimefighting heroes. 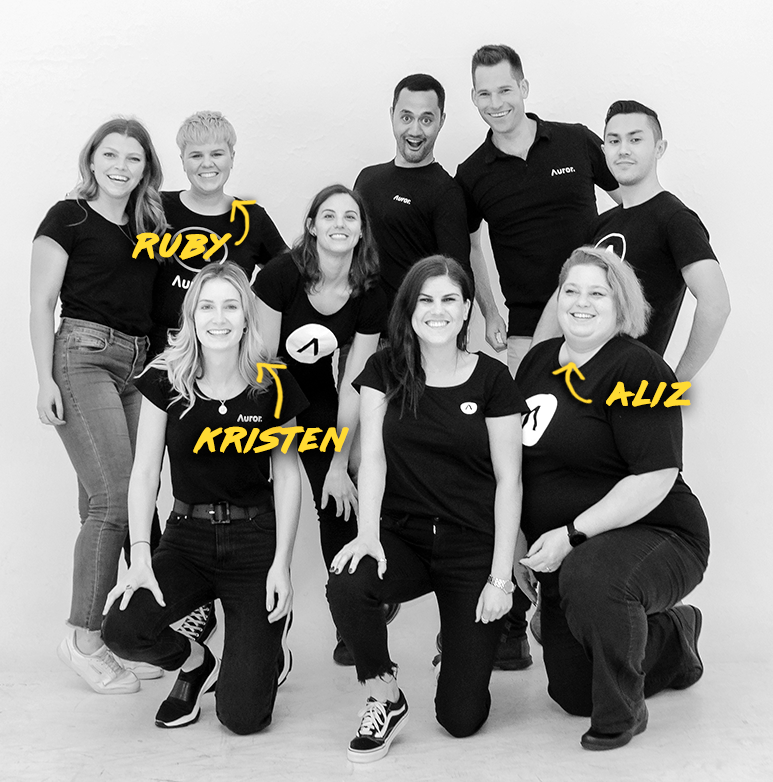 Aliz: I'm constantly amazed by the people in our crimefighter community that are so passionate about making their workplaces safer for their teammates and for their customers. All these people working together are already making a difference already and I'm excited to see where the future takes us! What are you most excited about in your new community role? Ruby: Unearthing more of these heroes, and working with our retailers and the Police to make sure our communities are a safer place to be. Aliz: Getting to meet all the great teams working around Australia and being able to lend a hand where I can. Also showing everyone how we can impact crime when we all work together! When you’re not helping Auror users fight crime, where can we find you? Kristen: I enjoy getting outside, sports, fishing and diving are my summer hobbies. I also love to cook and bake for friends and family when I am not hungry, otherwise it never makes it to the plate. Ruby: In summer, you’ll find me at the beach. In winter, you’ll find me on the slopes. And all year round you’ll find me checking out the best new eateries. Aliz: When I'm not working you can find me in any number of places. Online and offline, board gaming, PC gaming, crafting and creating or helping others make something. If I’m not gaming, I’ll be taking my dogs out to try a new brunch place. Always planning the next adventure! Now that you know the new team a little better, be sure to fire them a message in the in-app messenger if you have any questions, or if you just want to say hi!